I have been obsessed with this new spot for breakfast. The Parish! I think I go about 3-4 mornings a week for biscuits and coffee or a pot of tea. My boyfriend and I are lucky to live just a couple blocks away. We can’t seem to stay away! It’s the cutest, quaintest spot to enjoy a small breakfast and watch the passerby. Huge windows that split you from the grime of both Spring and Main Street. Parish is sandwiched right in the intersection of the two streets. Which makes the seating area below small and narrow. About 5-6 tables that seat 2-3 people each. There is an outdoor patio that can seat much more which is great on a warm sunny day. 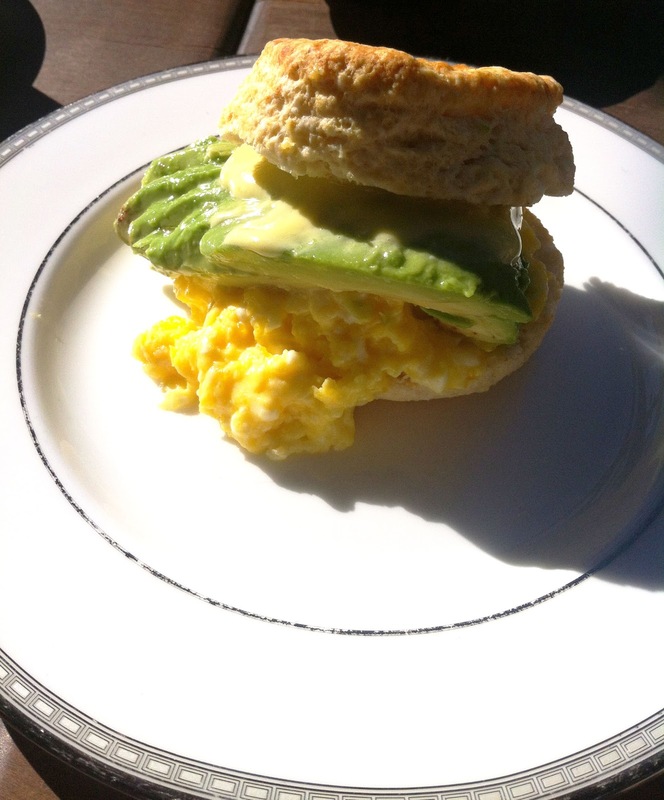 My favorite biscuit is the cheddar eggs, avocado and bacon on the side. Like a true picky eater from California, bacon goes on the side. I’ve tried the others, but this one truly is the best! Served always with a pot of English breakfast. Of course, if you want coffee, they serve Handsome! One of my favorite roasters on the west coast! (more about them later)Now, I have gone for lunch, dinner and just for drinks and haven’t been disappointed. It really is a must try in dtla. I am lost without my Kate Spade pocket size organizer.